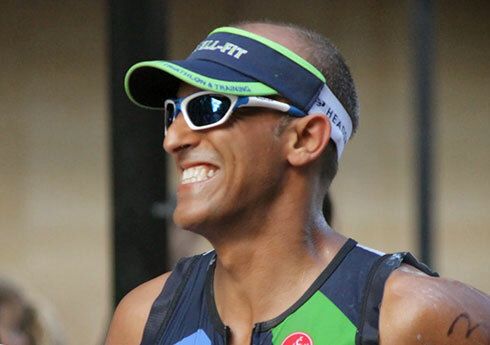 Well-Fit is owned by Sharone Aharon, a USAT Level 3 certified triathlon coach and accomplished triathlete. Sharone Aharon, is a USA Triathlon Elite Level III coach and personal trainer. He is the founder of Well-Fit Triathlon & Training, Inc. in Chicago, Illinois. Sharone’s competitive and coaching history expands more than 30 years. Starting in 1988, Sharone has competed in some of the first triathlon races in Israel. To date, he has competed in dozens of running events, qualified for the Boston Marathon, completed seven Ironman distance races, including three Ironman World Championships in Kona, Hawaii. Early on in his coaching career, Sharone spent three years working with athletes at the Wingate Research Institute, Israel’s Olympic Training Center. For the past two decades, Sharone has specialized in sport conditioning, endurance coaching, triathlon, duathlon, and marathon coaching. Sharone worked with the USA Triathlon national program for several years in the mid-2000s and continues to consult with the program to this day. In addition, Sharone puts together lectures, webinars, and hands-on seminars. Complementing his competitive and coaching experience, Sharone holds a Bachelor’s degree in Physical Education from Zinman College in Israel, and a Master of Science in Exercise Sciences from the University of Illinois at Chicago. In 2009, Sharone opened the doors of the first training facility of its kind outside of the Olympic training center program. Well-Fit Training Center attracts athletes and fitness enthusiasts from all over Chicagoland. His mission is to help people and coaches of all ages and abilities discover their inner potential. Fueled by his passion for the human performance, Sharone believes strongly in the potential you possess and strives to bring his expertise, dedication and excitement to every workout. A native of Israel, Sharone served as a Special Forces Officer and later spent nine years in the Israeli Secret Service. He has lived in the United States since 1994 and presently resides in Chicago with his wife and two children. To get started with Sharone or learn more, email us!